Punch-out style bull fighting game. 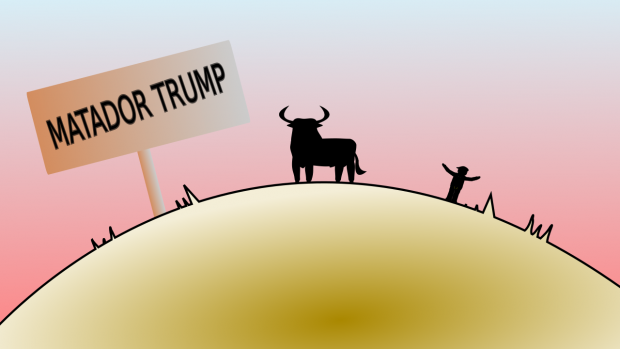 You play as the bull avoiding Trump's attacks and charging against him when he's vulnerable. Trump will build a wall to protect from your attacks.